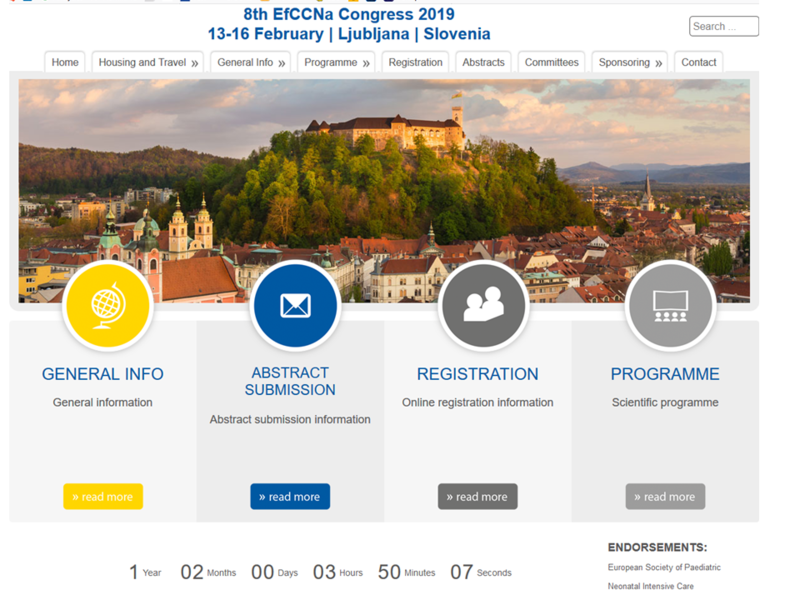 The 8th EfCCNa Congress is going to be held in Ljubljana, Slovenia in February 2019. Audur S. Gulfadottir left her position in the EfCCNa Council due to her personal career plan. The EfCCNa family thanks her very much for the time she has been in the Council and for her valuable contributions to the work of the federation, especially in the PR group. We wish her all the best for her personal and professional future life. aforementioned University in 1993. 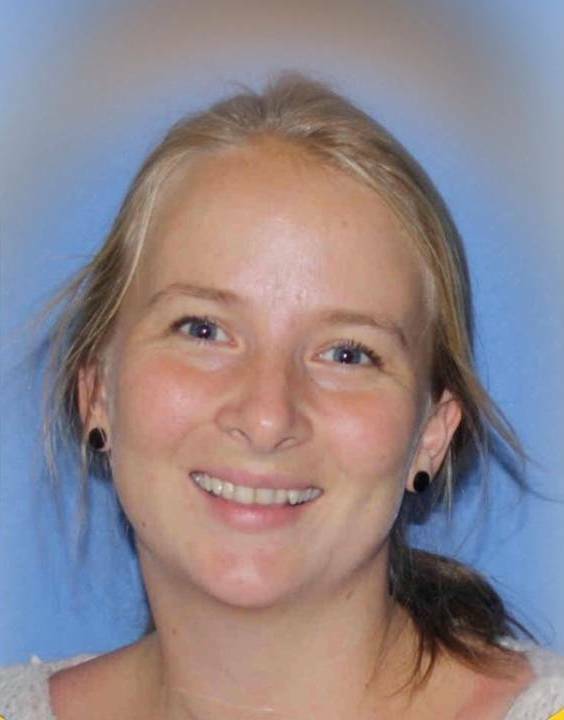 A year la ter, after working in general surgical and medical wards, she begun working at the intensive care unit (ICU) Fossvogur in Landspitali – The National University Hospital of Iceland, Reykjavik, where she has had her nursing career. Rannveig is now a clinical nurse specialist in intensive care nursing at the ICU Fossvogur and a PhD candidate at the University of Iceland with the date, 11th of December 2017, set for the PhD defense. Her research field is nurse-led follow-up of patients after discharge from ICU, measuring patients´ short- and long-term physical and psychological outcomes. Additionally, she is particulary interested in patient´ experience of the ICU stay and management of pain, agitation and delirium. Rannveigs´ daily work is in a multidisciplinary ICU team of counseling and direct clinical ICU nursing, and supervising ward visits to patients after discharge from the ICU. Furthermore, she is engaged in several quality improvement projects at the ICU´s of Landspitali, concerning treatment and service of ICU patients. 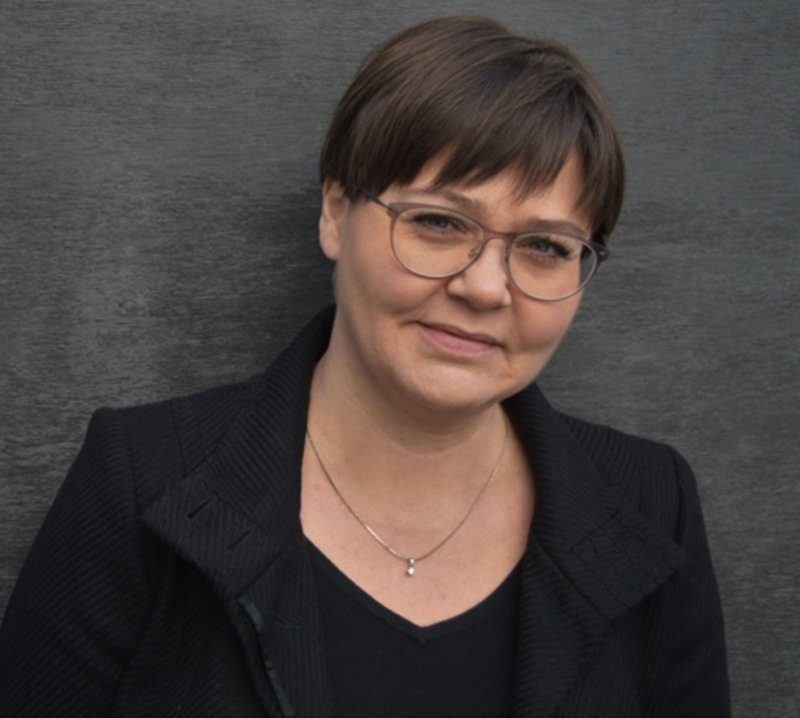 EfCCNa is happy to introduce Mathilde Elsa Christensen as the new Norwegian Council member. We are going to welcome her in person during the next Council meeting in Cyprus in Spring 2017. 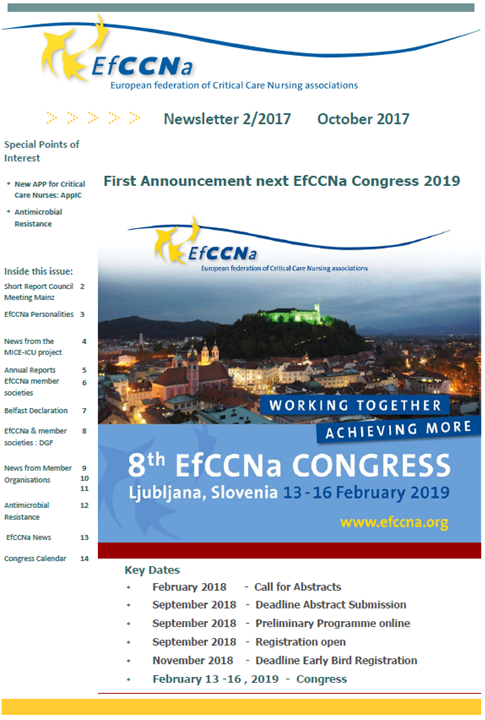 Latest issue of the EfCCNa newsletter is now available.